I would tell a friend to definitely get your carpets there. Viken, I love him. He has helped me through the years, and he is a great guy. He is a very nice man. Everything was on time, and it was wonderful. Vic, you can't separate the man from the business. He is very caring and attentive. I had good service and good people. They are very conscientious. 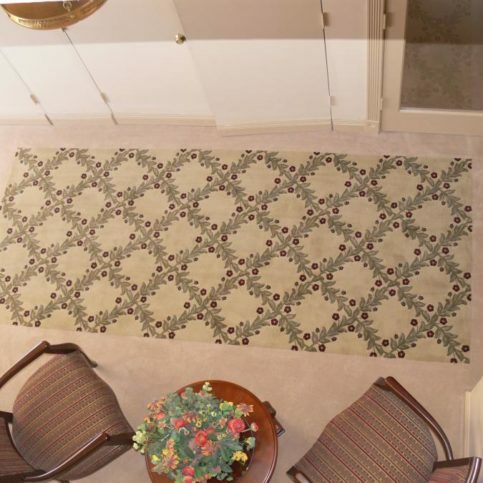 Carpeteria offers a wide variety of carpet; area rugs; and hardwood, laminate, porcelain, luxury tile, and natural stone flooring products at four locations in San Leandro, Campbell, Dublin, and Mountain View. 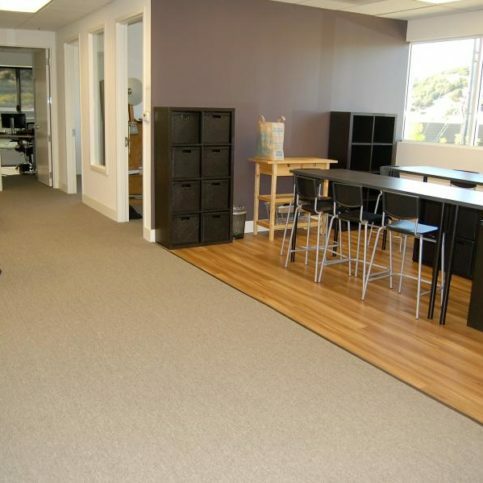 Established in 1973, the family-owned and operated company provides flooring installation services for residential and commercial clients throughout the Greater Bay Area, and its showrooms are open seven days a week for its customers’ convenience. 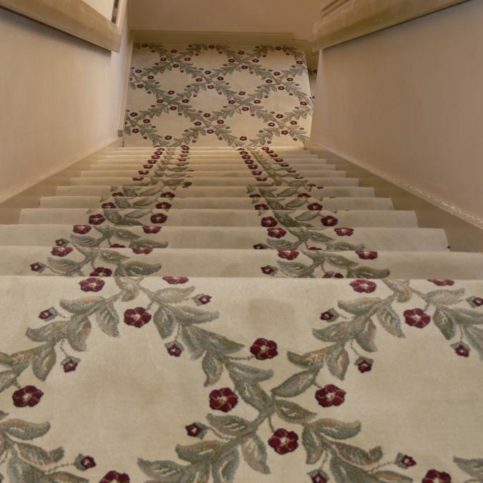 Carpeteria installed the carpeting on this double staircase. Since opening its first location in 1973, Carpeteria has been offering a variety of carpet; area rugs; and hardwood, laminate, porcelain, luxury tile, and natural stone flooring products at five stores in San Leandro, Campbell, Concord, Dublin, and Mountain View. 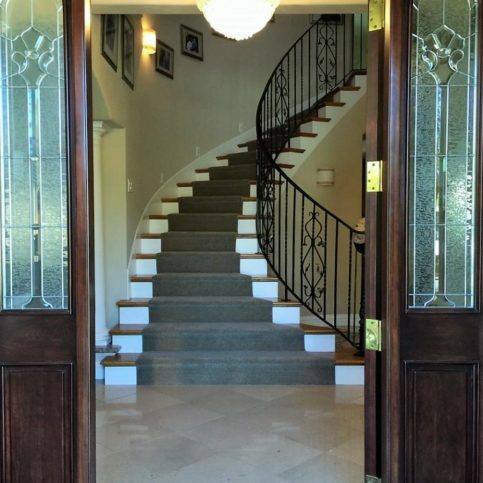 The family-owned and operated company also installs and maintains floors for residential and commercial clients throughout the Greater Bay Area, and its showrooms are open seven days a week for the convenience of its customers. Even though laminate is a popular flooring product for high-traffic areas of the home, early versions of the material were susceptible to moisture and water issues, which left many homeowners disappointed. Areas where laminate is most often installed (kitchens, bathrooms, entryways) are prone to water splashing, tracking and seeping. When older laminate was exposed to this type of water, it could bubble, buckle and warp, which left homeowners with swollen, warped and irreparably damaged flooring that had to be replaced. Forward-thinking companies like Mohawk take plastic water bottles, melt them down and convert them into carpet fibers. “Different fibers have different recycled content,” explains Mr. Balian. 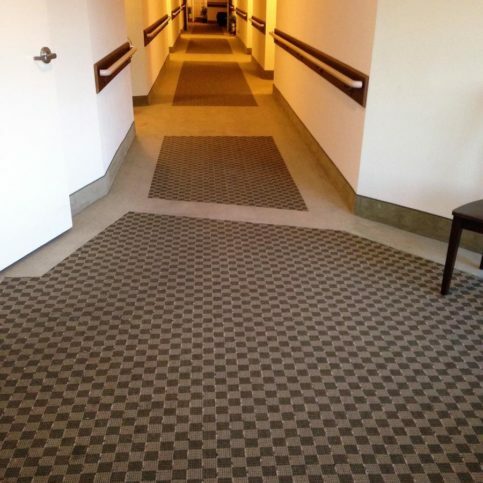 “In some cases, 100 percent of the material is made from recycled content, while in other cases it’s 30 to 40 percent.” This environmentally-friendly carpeting looks and wears just like traditional carpeting, but it’s often more resilient and longer-lasting. Q: Do you carry a wide selection of flooring products? A: Yes, we have a wide variety of flooring on display in our showrooms, and we can order almost anything you want. We also regularly attend trade shows to see what new products are on the market, so we always have the latest products in terms of color, design and technology. Q: How long will it take to install my flooring once I choose a product? A: Depending on the product you choose and the installation process it requires, we can usually install flooring within 48 hours. 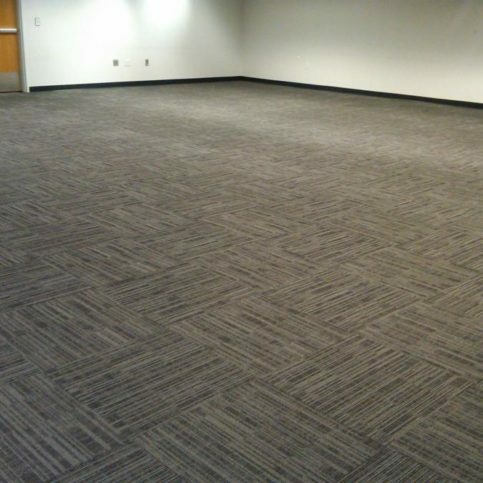 If you have a specific date in mind, we can direct you toward the flooring that we’d be able to install by then. It may limit your choices somewhat, but you can be sure you’ll have new flooring when you need it. Q: Who performs your installation work? A: The majority of our flooring installations are done by our own employees, all of whom are trained in-house, covered by our insurance and on our payroll. This gives us more control over the quality of our installations and makes things easier for our clients because they only have to deal with one company throughout the entire process. Also, if something goes wrong, we can send someone out immediately so there are no delays. Q: How do your prices compare to your competitors? A: Our prices are very competitive—we make sure they reflect the quality and value of what our clients get by shopping with us. If you shop based on price alone, you might find someone cheaper, but once the job is complete, there won’t be anyone to help you if you have problems. We’ve been in business for 40 years, so we understand the importance of providing guaranteed service. Sam Gulesserian is a 44-year veteran of the flooring industry and president of Carpeteria, a Diamond Certified company. He can be reached at (510) 431-2589 or by email. A: I like almost anything, but I mostly listen to jazz, classical and pop. A: The country—it’s more peaceful. Traditional, solid hardwood flooring is an unfinished product that’s installed with nails. In addition to its authentic old-world quality, solid hardwood gives homeowners complete onsite control of aspects such as color, finish and design. However, as a natural product, it’s highly susceptible to moisture, which can restrict its application. Solid hardwood also requires ongoing maintenance, including periodic refinishing. Engineered hardwood flooring combines authentic hardwood, plywood, and high-density fiberboard to create a resilient flooring material that’s easier to install and maintain than a completely natural product. Laminate flooring is an engineered product that’s often designed to resemble authentic wood. Composed of tightly fused high-density fiberboard layers, laminate flooring is easy to install, moisture-resistant, scratch-resistant and low-maintenance, making it a practical choice for rental properties or households with small children and pets. Like laminate, LVT is often designed to imitate the look of natural hardwood, but instead of condensed fiberboard, it’s composed of thick vinyl tiles that click together. Besides being low-maintenance and scratch-resistant, LVT is unique among both natural and faux wood flooring products in that it’s 100 percent waterproof. SAN LEANDRO — Host, Sarah Rutan: If you’re in the market for a new hardwood floor, it’s important to learn the full scope of your options. To learn more, we’re in San Leandro with D. C. Owen of Carpeteria, speaking on behalf of Diamond Certified Expert Contributor Sam Gulessarian. DC Owen: Hello there. I have a few great tips on selecting your hard surface flooring. Let me show you a few of the things that we have. First I will show you a solid hardwood floor. This is a nice reddish hue, and you can see at the edge that it’s a solid piece of wood, 3/4 inch as is pretty common. Another one to consider is an engineered hardwood floor. The engineered floor, if we look at the edge, is layers of wood like a plywood-type product. The difference is that the engineered wood is much more moisture stable because each layer of wood is cross grained so when moisture affects it, it pulls at itself and prevents it from expanding and contracting as much as a solid hardwood floor. It’s another product that is like an engineered wood floor, but the edge, as you see, is not the same. The center core, instead of being plywood, is a high density fiberboard. HDF is what it’s called. So, that started out 12 inches thick, and they put it down with heat and pressure to make it so it’s only 3/8 of an inch thick wood on the top, wood underneath so the little sandwich makes it so it’s much, much harder than a plywood or a solid wood, and the center core is even more moisture stable than just regular wood. Another way of doing it. Here’s another engineered hardwood floor by Armstrong, Performance Plus, and we see the edge very much looks like the other engineered wood that we looked at with layers of wood, and what they did different here, that top layer, they call the wear layer, they infused that with acrylic. So, if you imagine looking at that top layer of wood under a microscope, it kind of looks like a sponge, and that’s why water can affect it. Well, they filled all those nooks and crannies in with acrylic, and now it’s really, really hard. When I take any piece of a wood floor, typically I can just take my thumbnail and put a mark in it, but on that Performance Plus I can’t really do that because of that acrylic that’s in it. It makes it a little bit more expensive, but it’s a good type of a product. Here is another type of hard surface floor. This is LVT, luxury vinyl tile or luxury vinyl plank when it looks like a plank or it could look like a tile. Here’s another one that looks more like a tile, and you can see the edge as well. Clicks together very much like a laminate or engineered floor, and I have some more. These are laminate floors. The center core is that same kind of HDF, high density fiberboard, and if we look at the top of this, we’ll see you can see basically it’s a photograph. The board is about 9 inches wide and it’s a photograph of three pieces, and you can see where it’s joined together and where it’s not actually joined together where it’s just a photograph. It’s very attractive but it’s an inexpensive way of making it, and some people when they look at this they say, “Well, it’s nice but it’s a faux wood.” But they have other laminate floors with the high density fiberboard like this one. You’ll see that it is very beautiful with lots of color variations and even different widths of the wood, and everywhere where it joins together you see the bevel just like you would on a real wood floor. The center core again an HDF, high density fiberboard. This we can say is moisture resistant but not waterproof. The LVP or LVT is actually waterproof. I could take a chunk of this, put it at the bottom of a swimming pool, and it wouldn’t warp or buckle. So, sometimes when we’re considering maybe doing a kitchen, family room, hallway, and bathroom, it’s going to get a lot more water than say a bedroom. Maybe I want to go ahead and get something that’s waterproof for my specific lifestyle — two kids, the Kool-Aid mom. We’ve got lots of stuff going on. We want it to stay looking nice even living in it. We don’t want to act like we’re walking on eggshells. Well, when we get a nice solid hardwood floor, then we have to remember we’ve got to keep that humidity at a very constant level 45 to 50 percent, and even if we’re urged when we had a nice rain to open up the windows and let the house breathe in that nice fresh, cool air, the wood’s breathing it in too and could cup and buckle. So, it’s important to choose the right product for your specific lifestyle. Carpeteria : Average 8.8 out of 10 based on 235 unique customer surveys of customer satisfaction. I would say to use them. Our carpet is so soft with the padding. The guys that installed, were very respectful and precise. They did all our carpet and linoleum and we are very satisfied. They even did a trim in the kitchen with the linoleum and it looks really nice. Extremely personal service from the owner, he was very knowledgeable, went above and beyond. Our experience was great from the beginning to the end. The installation was super fast, faster than expected. We had to demo the existing floor. The communication was great. They had to take the toilet out and put it back in to install the flooring. There was a leak after it was replaced. I sent pictures to the salesperson. They had to come out twice to fix it because it wasn't an obvious leak. I was happy with the timeliness in which it was corrected. We love our floors. I can't say enough. The salesperson in Campbell has left to another store. I am sad about that, but I will definitely go back. My husband and I were really pleased. When I would go in, the salesperson came out almost immediately. I never had to wait. I can't remember his name, but I think he moved to Fresno. The installers were really good as well. They use their own installers. Very helpful staff, prompt and good work ethic, we were very happy. The gal that sold the carpet, I believe her name is Bev. I would have nothing to say. I would recommend them. I liked the owner. He was nice. They pay attention to the customer's wishes and work with you. They don't leave you alone. I have referred them. The carpets are great. Darrell is great. The quality of the carpet and the color selection, we liked everything. It was a good value for the money. They have a good selection and good staff. They worked with me and my schedule. I liked the samples. It was a positive experience. They were very helpful picking out the right carpet for what I needed. I have a rental property, so I needed a durable carpet. They helped with creative ideas. They have fair prices and good customer service. Darrell is the "bomb", he is just fantastic. Great selection, all different types of flooring, Darrell listened to us. Our life experiences were taken into consideration. The prices were very competitive. I would definitely recommend them for the laminate. They got the job done in one day and that was good.